Special thanks to Allumer Inc. for the wonderful Christmas gift packs that they have been selling. A portion of their sales will be donated to The MEALenium Project. 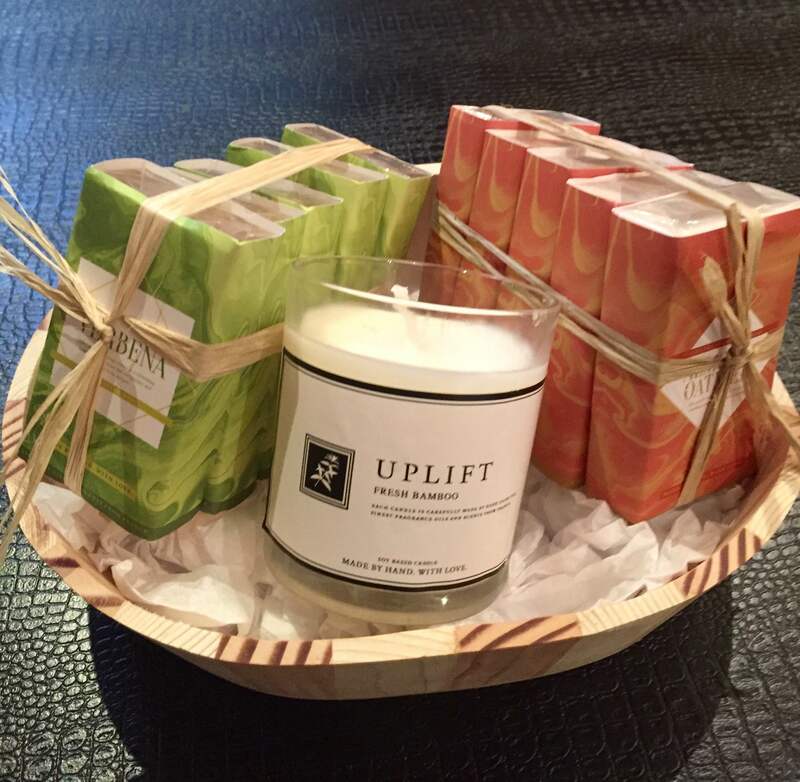 Each premium gift set contains a soy candle and soaps that are all made by hand, with love. 1 Shea Butter Lavender: This moisturizing shea butter soap gently cleanses and maintains skin’s balance. Its calming lavender scent relaxes both body and mind. 2 Shea Tea Tree & Peppermint : This anti-bacterial soap cleanses without drying the skin. Its cool peppermint scent soothes tired muscles. 3 Shea Butter Verbena : Gently cleanses and maintains skin’s balance. Its refreshing lemon Verbena scent invigorates and takes away fatigue. 4 Shea Orange & Oats: This beauty bar gently exfoliates and conditions skin. Its energizing sweet orange scent lifts your mood and refreshes your senses. 5 VCO Lavender : Luxurious coconut oil based soap that deeply nourishes the skin. Infused with lavender essential oil for a truly relaxing bathing experience. 6 VCO Tea Tree – Peppermint: This anti-bacterial soap cleanses without drying the skin. Its cool peppermint scent soothes tired muscles. 7 VCO Rose Geranium – This aromatic moisturizing bar is formulated with Geranium essential oil to uplift and invigorate. 8 VCO Almond & Oatmeal – This gentle exfoliant soap is perfect for soothing and conditioning your skin. « Christmas Party for the kids!